What Are Website Terms and How Do They Protect Your Business? While most people will skim through terms and conditions (at best! ), having such a page on your website is of utmost importance. The specifics depend on the website niche, the types of information, and the functionalities that the website gives access to. Legally speaking, terms and conditions are rules by which website visitors have to abide in order to access the respective content or service. So many website owners do not put a lot of thought into crafting the terms and conditions page. In fact, they opt for a generic template – a serious mistake. The respective page is important because it can limit your liability in case a visitor or a customer may be considering taking you to court. Its purpose is to also protect the content and suggest permissible uses. Whenever a legal issue occurs, a court will examine the content of the terms and conditions page to determine its comprehensiveness. The biggest question here is whether website terms and conditions are enforceable. The answer is that it depends on the circumstances. A court will examine situations on an individual basis, which is why having detailed terms of service is always a smart thing. The page is, in essence, an agreement. It establishes the rules that website visitors must follow when interacting with the respective online platform. When the rules are clearly outlined, abusive behavior can be sanctioned. Such abusive behavior could consist of spamming, posting racist content, copying content from the website, etc. On the basis of these rules, a website administrator can terminate accounts without prior notice. When a website visitor fails to follow the established protocol, the termination clause of the usage agreement can be invoked. A disclaimer typically states that the website owner cannot be held accountable for errors, outdated information, information published by website visitors, and readers taking information out of context to use it for a specific purpose. To accomplish these goals, you cannot rely on generic terms and conditions, or on a text that is copied from another website (unfortunately, a common approach that many website owners adopt). In order to experience the full range of protection, you need a page that is entirely crafted for the needs of your business and the purposes of your website. 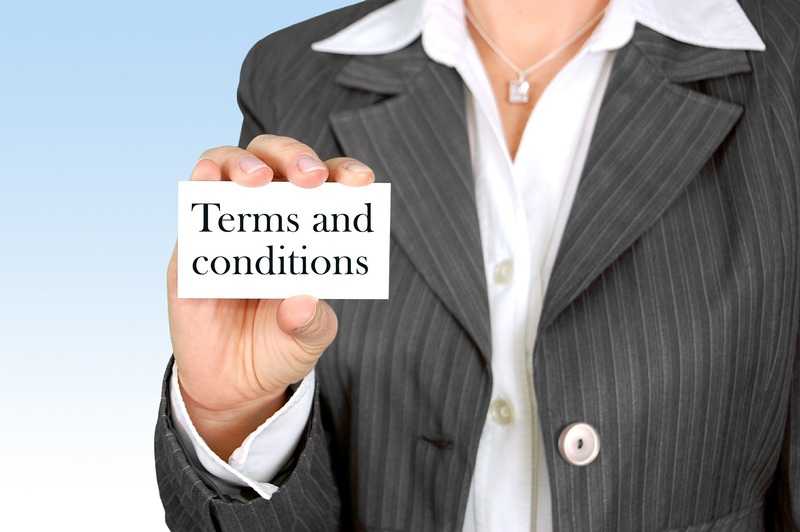 Working with a terms and conditions specialist attorney can give you peace of mind and the knowledge that all of the essentials have been covered. What Is DMCA And Does It Apply To My Business? The information provided on and through this website is not legal advice and no attorney-client relationship has been created herein. This website is for informational purposes. Those who sign up to receive email updates, as well as other website visitors, will be receiving advertising information about legal services but should not act upon this information without seeking professional legal counsel. You may opt-out of receiving communications from me and this website at any time by following the instructions in the emails you receive.